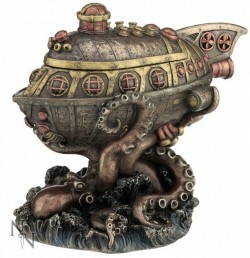 Very detailed collectable figurine showing a steampunk scene. The submarine and the sea creature. Top lifts off to reveal a compartment for hiding trinkets eg keys, coins, jewellery.